Once part of the Martha Stewart support team, Ying Chang Compestine dropped out to dip into the dark stuff. 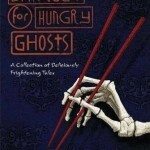 She has created “A Banquet for Hungry Ghosts” and it’s a feast tasty enough to tantalize the dead … and the living. Her collection of ultra-spooky tales is a journey across time … and China. Some very hungry ghosts are determined to fill up, and food isn’t necessarily the answer. 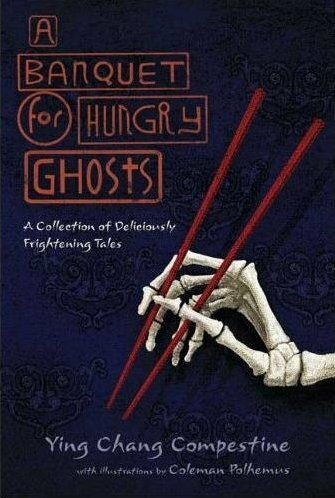 This book has scary stories and not-so-scary recipes. So when the ghosts come knocking you can serve up a bowl of long life noodles. If that doesn’t work use the book to cook a up a feast for that hungry ghost … and invite your friends. Very good text. I’ve found your blog via Bing and I’m really glad about the information you provide in your posts. Btw your sites layout is really messed up on the Kmelon browser. Would be cool if you could fix that. Anyhow keep up the good work!